A problem you say? Good thing I’m here to sing it away! 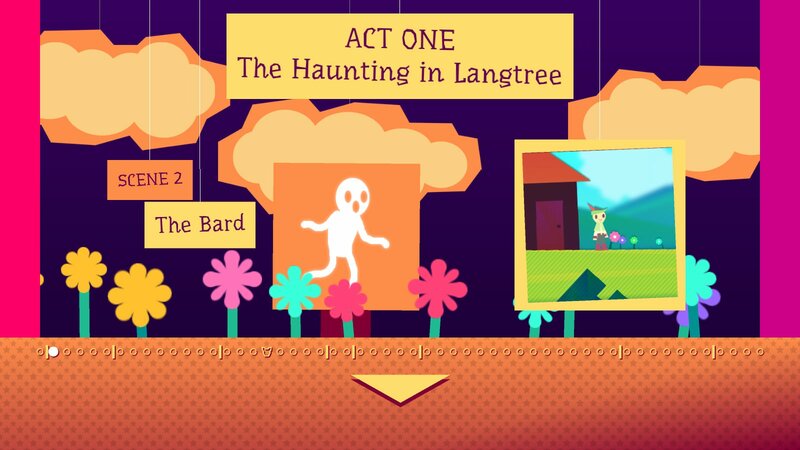 One fateful night, a cheerful bard has a dream that he just couldn’t forget. It started as a nightmare, facing off against a huge shadowed figure with a sword he could barely lift. Trying to hit it barely caused a scratch, so the bard does the next best thing: sing. The figure soon reveals herself to be a messenger of the goddess Eya who was giving a test to see if the bard was a hero before Eya sings the song of creation to replace our universe for a new one. Our bard sadly failed, but maybe he can still help. The next morning, after singing away a couple of ghosts terrifying the people of Langtree and managing to learn an Overseer song, the messenger of the goddess Eya returns. While our bard can’t lift up a sword, his singing resonates with the Eya’s creations and that talent just might save the universe. All our bard has to do is gather all seven pieces of the Earthsong from the Overseers. 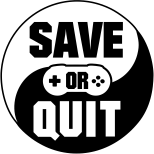 Of course, it’s easier said than done as the Overseers all reside in different areas, have different songs to get to their castle (as well as obstacles on the way), and somehow convince them to give him the piece. Even if our bard gets all the pieces, it might not even work since all life needs to be in harmony for Eya to notice and join in. Despite this, our bard is still determined and accepts the quest. After all, if anyone could get everyone and everything to be in harmony, it would be a lovable bard. Soon enough, he is also joined by a grumpy witch named Miriam who wouldn’t have come without Grandma Saphy wanting her to. Together they will travel to various towns, meet many charming characters, and learn more about themselves along the way. 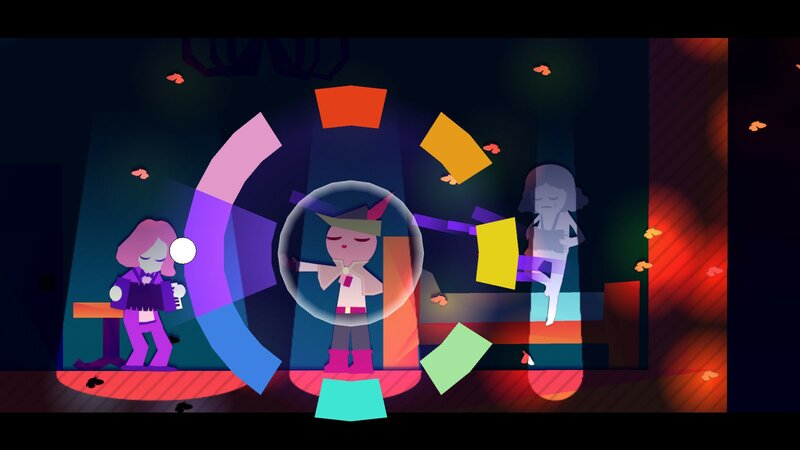 Our little bard’s talent for singing is what Wandersong revolves around. Singing is characterized by a color wheel with each note having a specific color and place. No matter where you are, or what the situation might be, you can sing there. Walk by some flowers while singing will change their color, talking morphs into singing when you get a dialogue choice (even when you don’t, you can still sing in the middle of a conversation), and even steering is done by singing. There are times where you have to directly mimic a tune and the game does a good job telling it’s players what they need to hit. It not only will show the note color but will line up to where it is on your color wheel. Sometimes the situation may call for a song with lyrics, so it acts like if it was dialogue except with a symbol showing you which notes to sing. Lastly, the Overseer songs are more akin to a rhythm game. You have a decent amount of wiggle room when performing an Overseer song so you can miss some, or come in a bit early, and you’ll be fine. Puzzle-wise, it’s pretty middle ground and I don’t really see anyone getting stuck. As everything revolves around singing or at least music, it’s really easy to guess what you need to do; especially when singing is associated with a wheel and colors very early on. You might be faced with colored air that blows in a certain direction, but you’ll know what to do since you mimicked a tune before. Perhaps you need to catch a white flower that’s suspiciously big enough for a bard to stand on? Maybe it responds just like regular flowers. You’ll never face the same puzzle, despite it all revolving around the simple act of singing. The only possible problem is the platforming. There was only one place I seriously got stuck in, and it was when the platforming was the forefront. You might notice that the bard has a little bounce back when colliding with walls. This isn’t much of a problem till one specific part close to the end that both requires you to go fast and do tight platforming, which is hard as you can easily bounce off of a wall and completely ruin a jump. If you get a fail state, such as falling, the checkpoints are generous and will put you close to where you were. Not only can you sing, but you can also dance. If you want to, there’s a character called Mask that will hide himself around the world. Mask does tell you where he will be, but you have to find the exact spot and sometimes be there at a specific time. Each time you find him, he will unlock a dance within you. 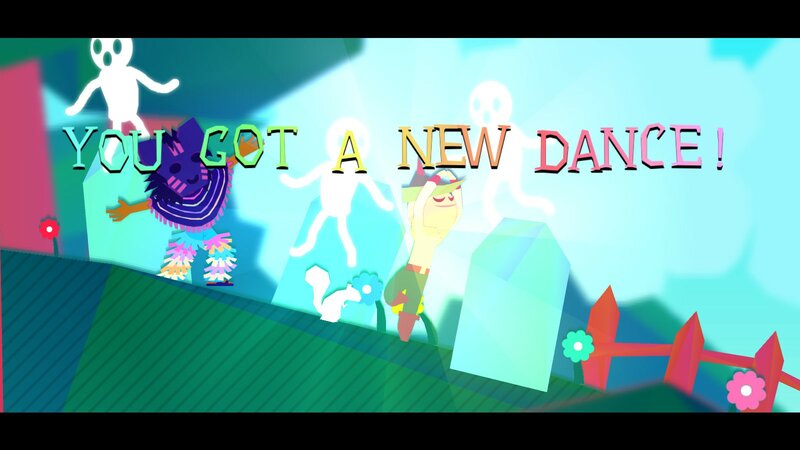 Who knew our bard could dance! 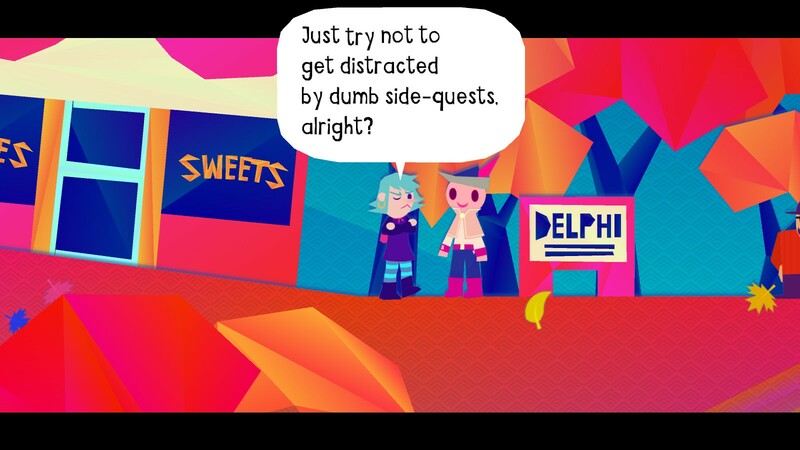 The visuals have the appearance of construction paper that, apart from not having the same looking texture, someone laid out to make the colorful environments. It is all multi-layered so you have more areas to explore. Transitioning when going from foreground and background (or vice versa) is done smoothly and adds more detail to the world. If you look close enough while singing, you can even notice the environment lightly thumping along. The characters easily have the same amount of detail put into them as their expressions are animated clearly. Turning around looks like they’re made of paper being flipped, even having their own font for their speech bubbles. 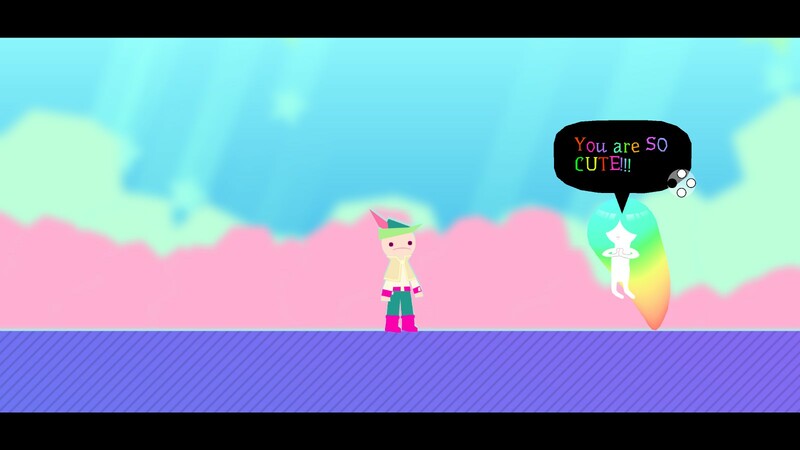 The scene select is super cute as little props pop up along and human-made sound effects start to simulate the scene. It all very much feels like something you would find in a storybook. 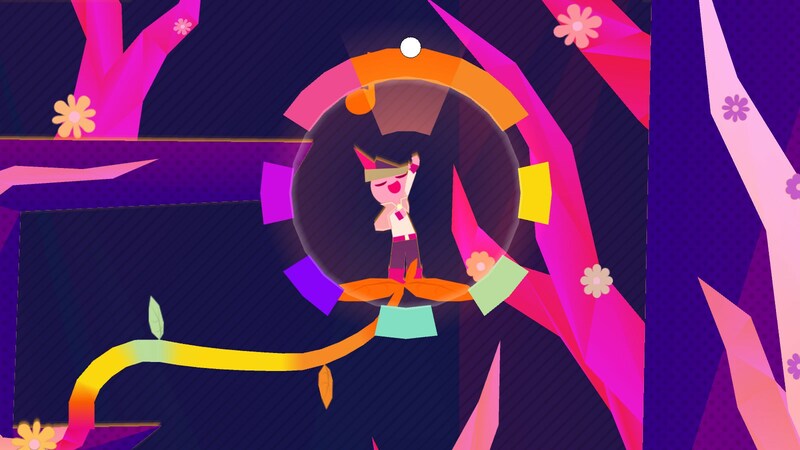 Though with a game all about a bard, does the music live up to it? It easily does, with each fitting the scene and helping to evoke the emotions that it’s pouring out. 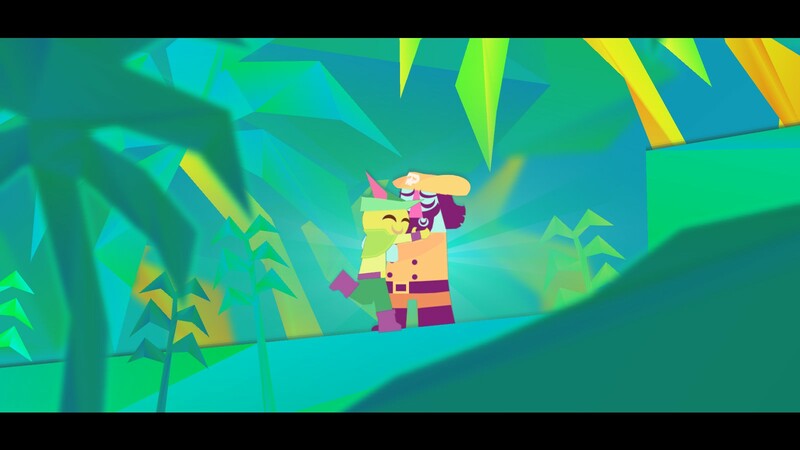 It’s pretty obvious that Wandersong was made out of love, brightening my day as I just couldn’t help but smile the whole time (or well most of the time). Even now, as I write this, I’m tearing up (happy ones!) thinking about my adventure as a bard. Meeting all the different characters, making other’s lives brighter than when I arrived, getting to know Miriam and the bard, and how it all came together, in the end, to give us one last look into their world. 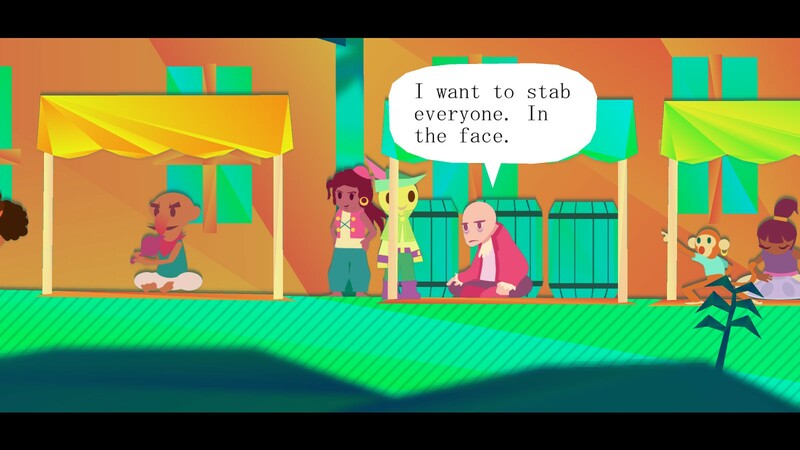 If anything about Wandersong interests you, definitely pick it up and play it as soon as you can. According to our reviewer, RIPwitch, the bounciness was fixed after the game was recently patched for more consistent jump heights/stabilizing physics. This makes a particular area easier (the one mentioned in the review).